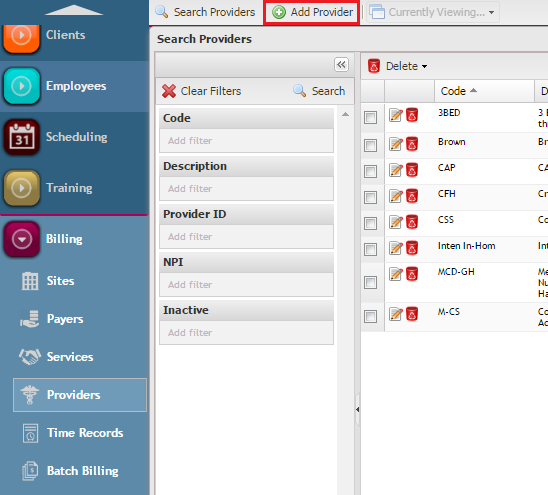 The Providers desktop is where billing provider information is entered in OnTarget. 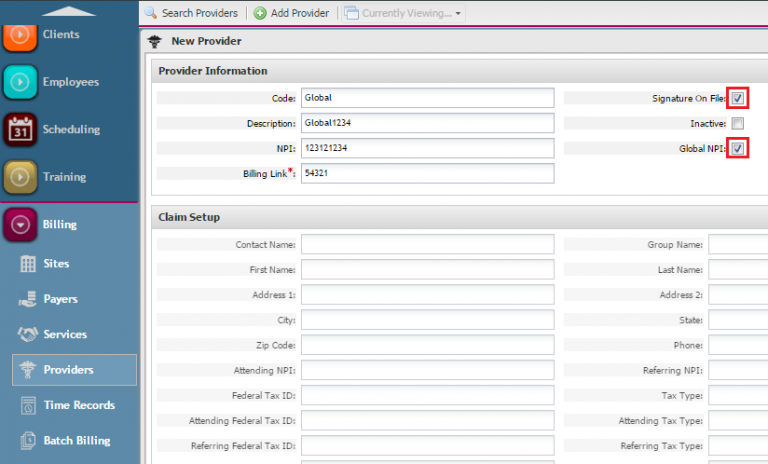 Here, the billing NPI# is entered as well as required billing link information. In order to search for Providers, click on “Search Providers”. This populates a search grid with various filters. 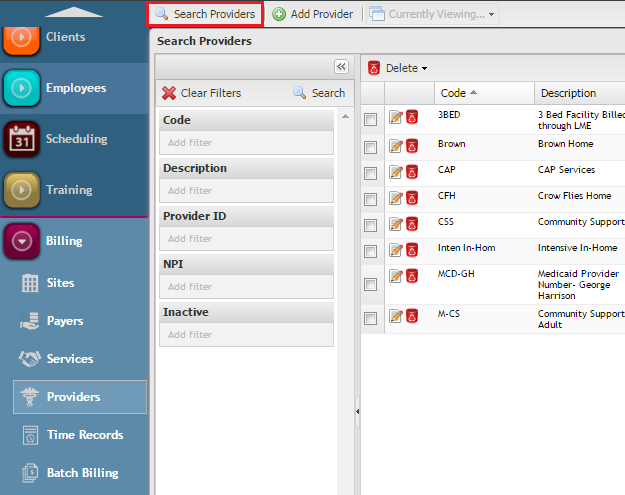 Here, you can use filters to search by code, description, provider id, npi, and active/inactive. Click on “Add Provider” to add a provider. This opens the provider configuration window. First, enter a Code. For billing through the latest version of OnTarget, the typical naming convention for code is “Global”. Next, enter a description. 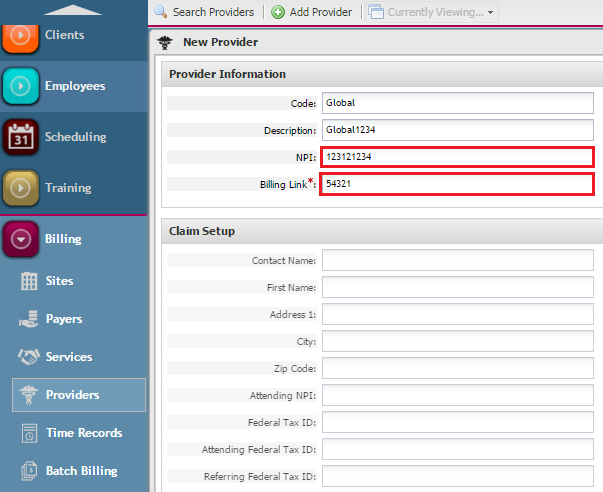 The typical naming convention for description is “Global” followed by the last 4 digits of the billing NPI number. Next, enter the NPI number. 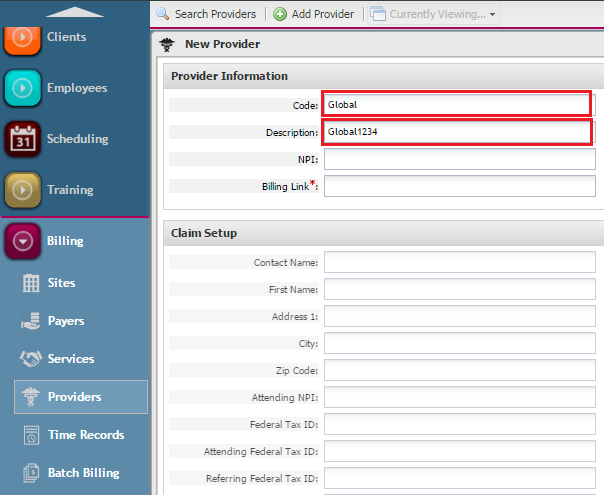 Billing link is a required field, and is a function of billing and claims submission. Finally, select the “Signature On File” and “Global NPI” checkboxes. Click Save.